Article published in Journal of Pharmacy & Pharmacognosy Research 6(5): 402-411, 2018. 1Farmacología; Departamento de Farmacia; Facultad de Química, Bioquímica y Farmacia: Universidad Nacional de San Luis; Chacabuco y Pedernera, D5700BWS, San Luis, Argentina. 2Instituto de Química San Luis, INQUISAL (CONICET-UNSL); Chacabuco y Pedernera, D5700BWS, San Luis, Argentina. Context: Jodina rhombifolia (Hook. & Arn.) Reissek (Santalaceae) it´s used in folk medicine to treat a great diversity of health problems. Aims: To evaluate the diuretic activity of aerial parts methanolic extract (leaves, bark, phloem, and branches of approximately three years) in Wistar rats. 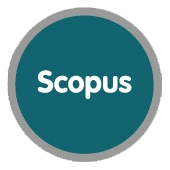 Methods: The experimentation was organized with a negative control group (saline solution), a positive control (furosemide; 10 mg/kg) and for each methanolic extract were established three groups of animals that received doses of 125, 250 and 500 mg/kg of weight in normal saline solution. Results: The maximum diuretic activity observed in-group administered with leaves methanolic extract followed of phloem extract. The dose 250 mg/kg of leaves methanolic extract was the more potent and equally important, result the dose 500 mg/kg, which supposes an interesting excretor effect of water for a phytodiuretic. These registers of diuresis in Wistar rats did not show significant statistically results with the positive control group. Furthermore, the onset of diuretic activity of leaves methanolic extract was extremely rapid, within the first hour of administration (for all doses). Conclusions: This study contributes to scientific validation of the ethnomedical use of this botanic species in folk medicine of South America as a diuretic agent, although further studies are necessary to evaluate the mechanisms involved in biological activity and safety following repeated use. 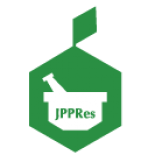 Esta entrada fue publicada el 20 de agosto de 2018 por JPPRes Blog en Diuretics, Herbal medicine, Medicinal plants, nephroprotection, Preclinical Research, Rats.